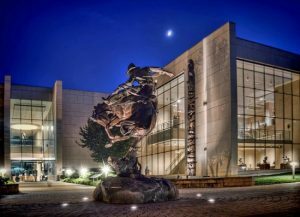 The Georgia Department of Education and The Booth Western Art Museum will partner on February 5th for a training on STEAM education and the importance of the arts in interdisciplinary teaching and learning. This session is a part of a series of statewide STEAM trainings to support schools interested in STEAM Certification. As a result of this training, participants will walk away with a better understanding of STEAM, teaching techniques to take back to the classroom, and an understanding of the importance of community partnerships in creating a STEAM school culture.